Although the park is completely within the city limits of El Paso, a robust and diverse ecosystem of birds, reptiles and small mammals live here. If you are observant, you may catch a glimpse of mule deer, squirrels, coyotes, and perhaps one of the elusive mountain lions. The Franklins are an incredible bird-­watching site. Over 100 species of birds visit or live here, including golden eagles, ash-throated flycatchers, calliope humming­birds and pyrrhuloxia. Visit the park’s bird blind in the Tom Mays Unit to see some of these birds. 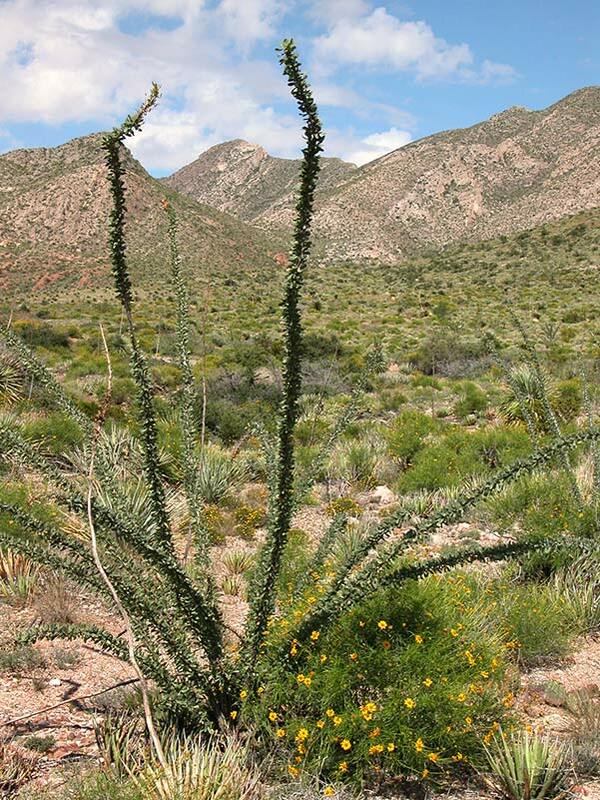 Plants here are typical of the northern Chihuahuan Desert. Lechuguilla, sotol, ocotillo, several yuccas and numerous cacti grow in the park. 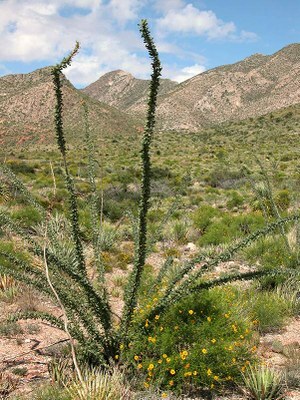 The Franklins are the only known location in Texas for a number of plant species, including the Southwestern barrel cactus. 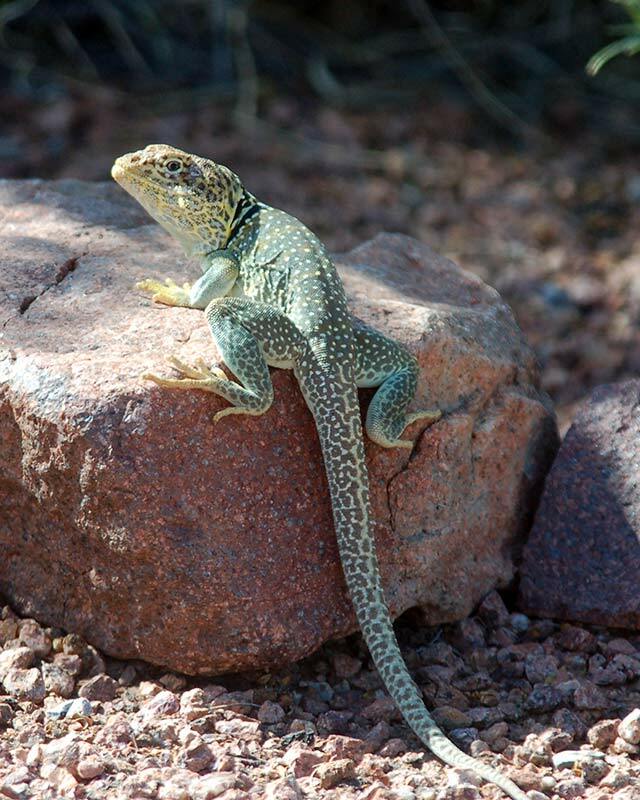 Learn more in the Interpretive Guide to Franklin Mountains State Park.